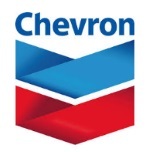 édité le 05/07/2016 - Plus de news de "CHEVRON" - Voir la fiche entreprise de "CHEVRON"
Chevron Corporation announced that its 50 percent owned affiliate, Tengizchevroil (TCO), will proceed with the development of its Future Growth and Wellhead Pressure Management Project (FGP-WPMP), which will increase crude oil production at the Tengiz oil field in Kazakhstan by about 260,000 barrels per day. Chevron (NYSE: CVX) is one of the world's leading integrated energy companies. Through its subsidiaries that conduct business worldwide, the company is involved in virtually every facet of the energy industry. Chevron explores for, produces and transports crude oil and natural gas; refines, markets and distributes transportation fuels and lubricants; manufactures and sells petrochemicals and additives; generates power and produces geothermal energy; and develops and deploys technologies that enhance business value in every aspect of the company's operations. Chevron is based in San Ramon, California.